"Impressions from the 2018 Architecture Biennale" is the title of the next international architecture event coming up in the exhibition spaces at FAB Architectural Bureau, in the Sarotti Höfe in Mehringdamm, Berlin, on the evening of June 13, 2018. FAB Architectural Bureau goes beyond the limits of the conventional showroom to become a multi-purpose space for the Fiandre, Porcelaingres and Ariostea brands in the Iris Ceramica Group. Quality porcelain tiles made by the Iris Ceramica Group brands frame a flexible space used for initiatives focusing on cultural and technical aspects of architecture and design. FABis located in a central part of Berlin, near the lively Kreuzberg district (Mehringdamm U-Bahn station). The exhibition space is located in an unusual facility of great architectural value, with a “sweet” past, for it housed the Sarotti chocolate factory, a brand made in Berlin in the late nineteenth and early twentieth centuries. 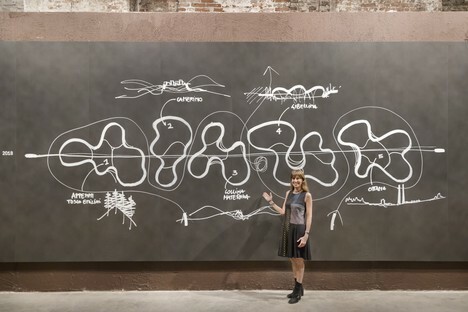 On June 13, 2018 exclusive images of the Biennale in Venice by Berlin photographer Ken Schluchtmann visually take the audience to the Italian city to introduce a round table focusing on the theme of the 16th International Architecture Exhibition: FREESPACE, the title chosen by curators Yvonne Farrell and Shelley McNamara. Mario Cucinella, curator of the Italian pavilion, and Lars Krückeberg of GRAFT, an architect on the team of curators of the German pavilion, will also be present, as well as Christine Edmaier, chair of the Order of Architects of Berlin. The discussion, inspired by the two meanings of the title of the 2018 Biennale, “freespace”, which can mean space free of architectural structures and human constructions or else public space, will be sure to be very interesting, in view of the specific issues addressed by the two national pavilions. 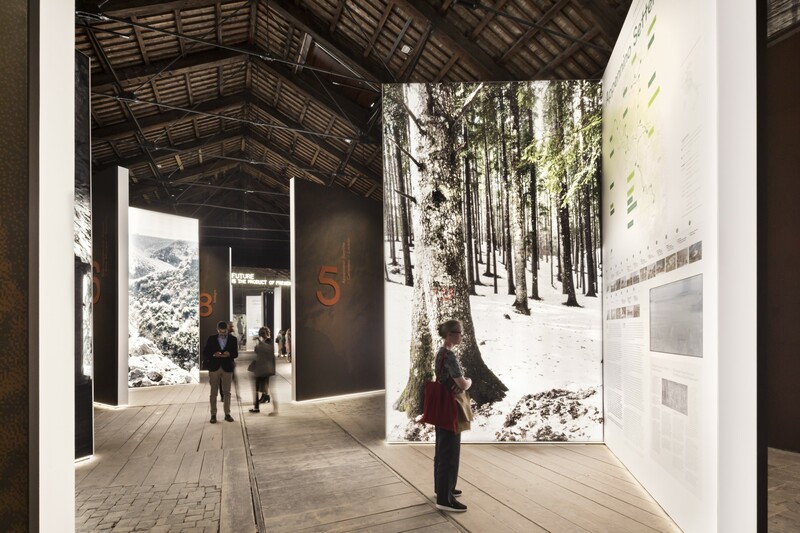 The German pavilion at the 16th International Architecture Exhibition in Venice, curated by GRAFT, is entitled "Unbuilding Walls" and focuses on an unusual “freespace” in Berlin which has been the subject of a lot of architectural projects. The pavilion’s curators, architects Lars Krückeberg, Wolfram Putz and Thomas Willemeit, founders of GRAFT, and former federal commissioner of Stasi documents Marianne Birthler decided to present a selection of projects built on the former “death strip”: the area between Checkpoint Charlie and Springer-Areal, site of the Cold War division of Germany into east and west between 1961 and 1989. The site of daring escape attempts and pitiless killings, still an open wound for many, and a tangible sign of how architecture can become a tool for healing geopolitical wounds. 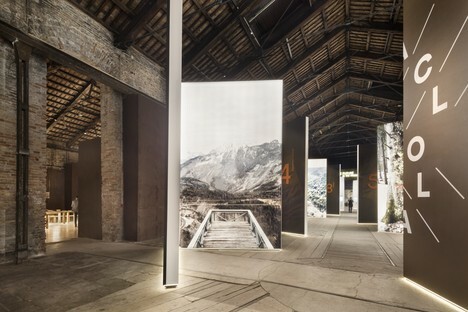 Architecture’s role as a tool for stitching pieces of territory back together and a flywheel driving their future is also the topic of the “Arcipelago Italia” project curated by Mario Cucinella for the Italian pavilion at the Biennale. The portion of Italian territory under examination is small inland towns located far away from the country’s big cities and coastlines. A vast territory, representing about 60% of the country, which is very fragile and often coincides with the country’s backbone, an area of earthquakes and hydrogeological hot spots which at the same time represents Italy’s ancient heritage.